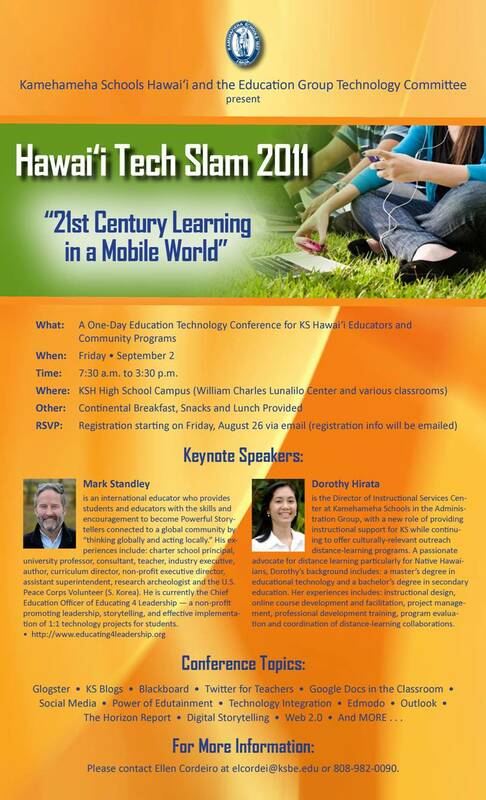 Our Education Technology Services Team flew up to the Hawai’i Campus for the first Tech Slam of the year. It was a huge success, thanks to the coordination of Ellen and the leadership of Darrin and Mimi. It was a tremendous day. Click on the link to learn more. I was able to give a presentation in one of the breakout sessions. It was nice to partner with our Distance Learning Team. It was especially nice to reconnect with Mark Standley, who is a great friend and mentor. Looking forward to our next slam at the Maui Campus in October…. Mahalo for your support and awesome presentation. There was a lot of buzz about it :). Can’t wait for Maui! PS – One Voice is definitely a must see. I LOVED it!